LOCATION!!! A beautiful Central Pitt Meadows 3 level split home on a quiet cul-de-sac featuring 3 bdrm, den, 3 bth, & a 5’ crawl space. Master bdrm has a private balcony. Extensive reno’s in 2016 incl all 3 bth, custom blinds, flooring, locks, hardware, lighting fixtures throughout. S/S appliances, built-in vac, monitored theft/fire alarm system. Large lot w/2 car attached garage (39’ x 23’ driveway) plus 1 car detached garage/work shop w/space to park an RV & Boat (81’ x 15’6” driveway). Garage has wall-mounted cupboards for storage. Newly sealed parking areas. Tall mature trees make this a tranquil, private park like setting. Freshly painted inside and out. 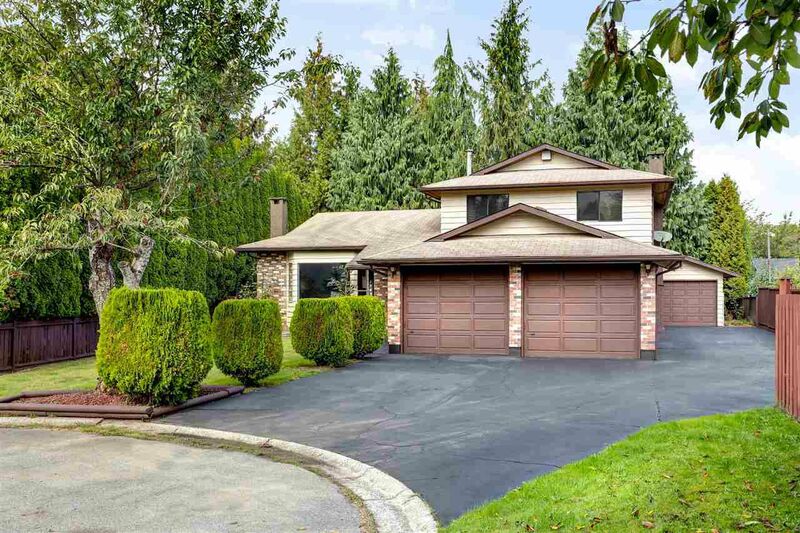 Close to all 3 schools, Ice Rink, WCExpress, library, recreation, golfing, shopping, theatres, & Golden Ears Bridge.